Time away from the site has allowed us to reflect on the progress we've made and how far the site has come from the early days. 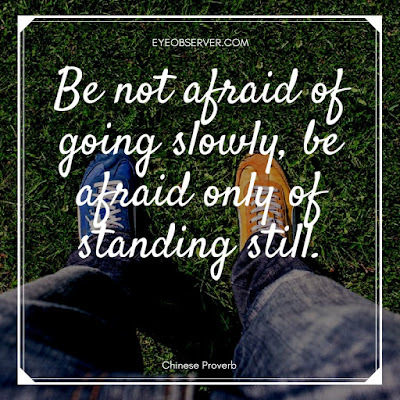 EyeObserver originally started out as a site covering and reviewing the best of the Internet - from memes to cool videos and drawings but we soon realized that there were too many people chasing after that pot of gold and to do it well would require a big time. So we decided to niche down. What are we good at? What do we enjoy? What is more timeless? And the answers we came up with were Tech, Motivational pieces, Quotes and Gadgets. This is a 180 degree switch from writing about the latest cool thing to pop up on the Internet but we're glad we took the tough decision to switch our focus and we're very much happier for it. Inertia is a tendency to do nothing or to remain unchanged and it is comfortable. In fact, it's very comfortable. 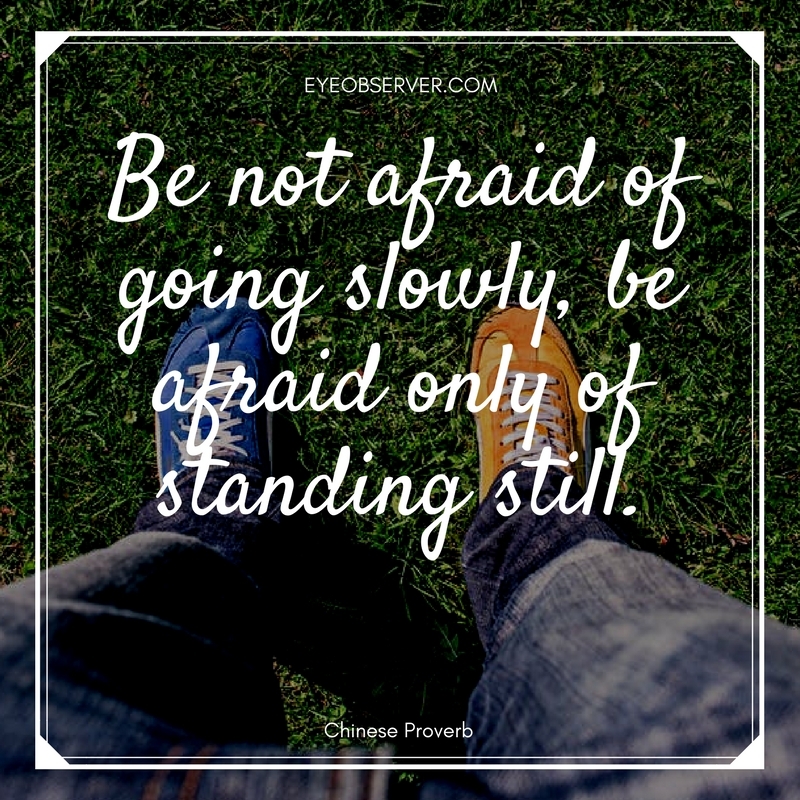 So much so, that even if it's evident that something isn't working, we tend not to bite the bullet and make the necessary changes. As the famous Einstein quote goes, insanity is doing the same thing over and over again and expecting different results. There is also the tendency to do nothing or be lazy. What has shown to work is publishing three articles every week and promoting them. It's a virtuous cycle that reinforces over time. But the natural human state is one of inertia - to do nothing, to be lazy. This is something that we have to overcome if we want to progress and achieve new milestones. Do we tend to overvalue the statistics and metrics we can measure and undervalue those that we can't? That's a philosophical debate for another article, but over at EyeObserver, probably the only stat that we measure ire the number of monthly readers and for the past couple of months, it has grown and held steady at 5,000. However we, want to make progress so we're setting a target of reaching 10,000 monthly readers by September 2017. Will we be able to make it? Fingers crossed! 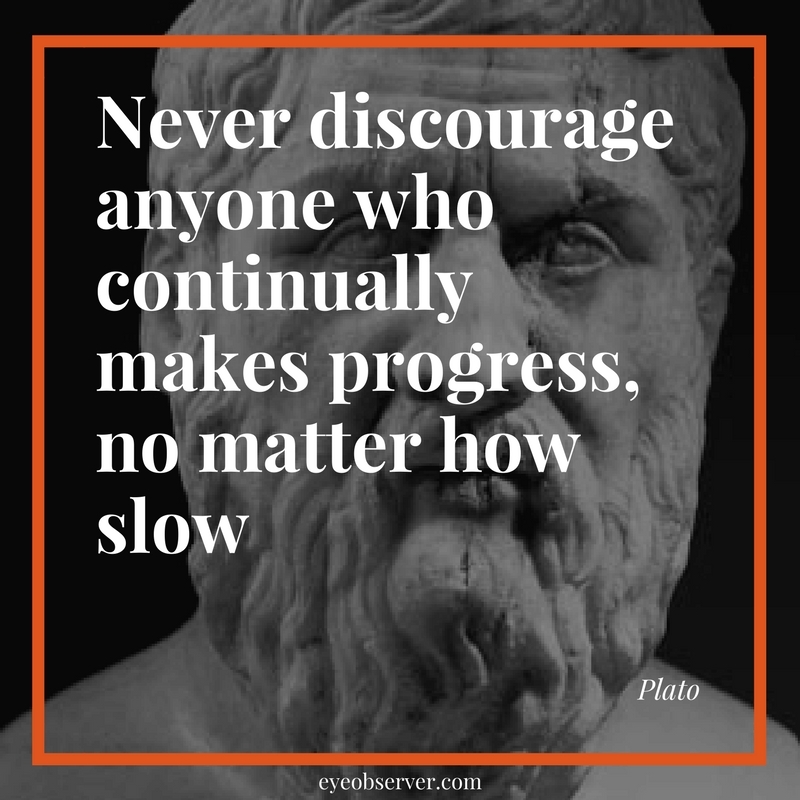 With all that said, here are some quotes on progress which influence our thoughts and also serve to motivate us. We hope they will do the same with you as well. 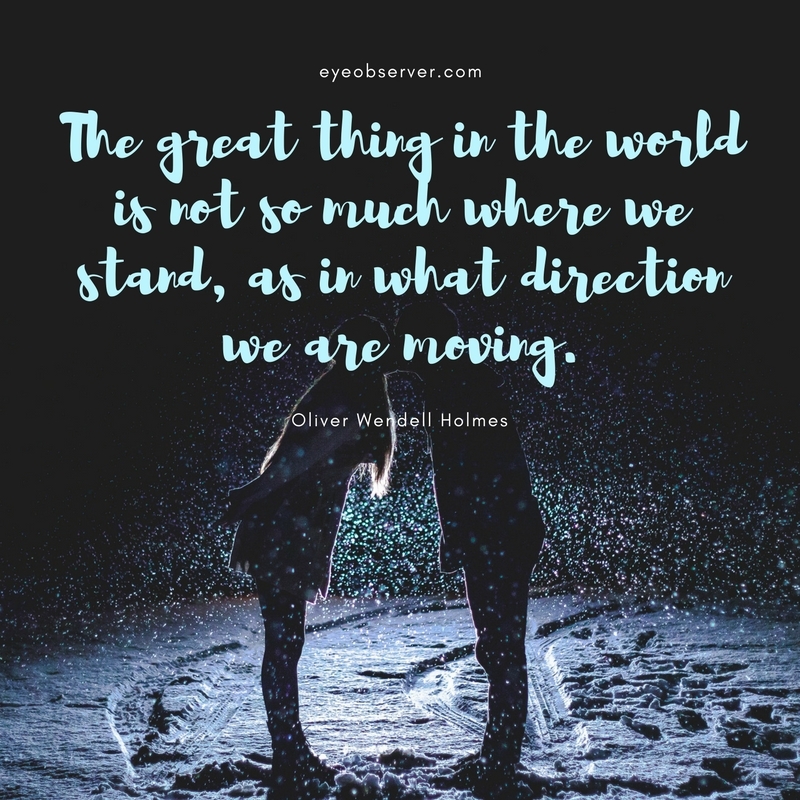 Oliver Wendell Holmes was a 19th century American physician and poet based in Boston. He was acclaimed by his peers to be one of the best writers of the day. No mean feat, considering that those peers included Ralph Waldo Emerson, Wadsworth, and James Russell Lowell. What we love so much about this quote is that it speaks to progress being moving in the right direction, and not so much our particular position or how far away we are from our goal. As long as we're moving in the right direction, that is what matters. There is safety in numbers when you do what everybody else is doing. 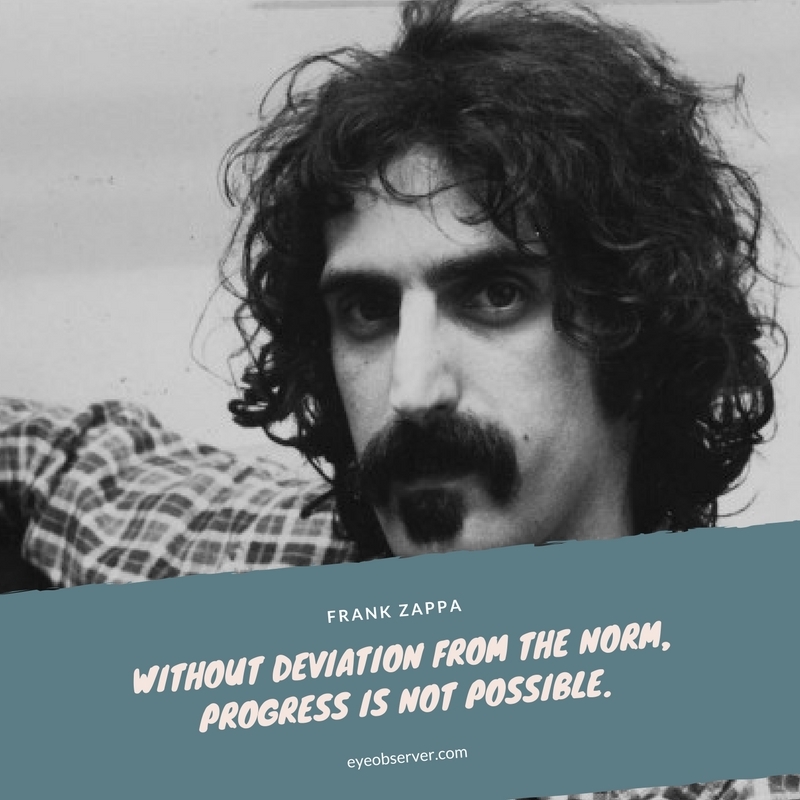 But if you want to progress, then you have to challenge the norm and do something unexpected. Seneca was a Roman philosopher, tutor and later adviser to the Emperor Nero. 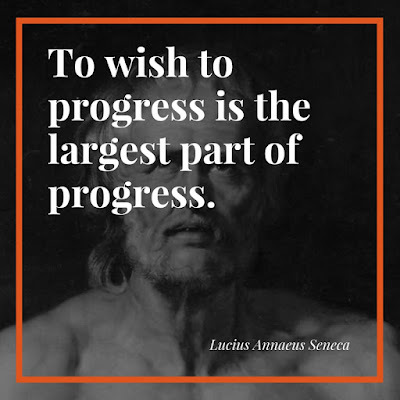 Some two thousand years before Think and Grow Rich was written, Seneca knew that the key to success was having the dream and vision, from which everything else grows. The Roman Emperor, Commodus knew that Rome wasn't built in a day. 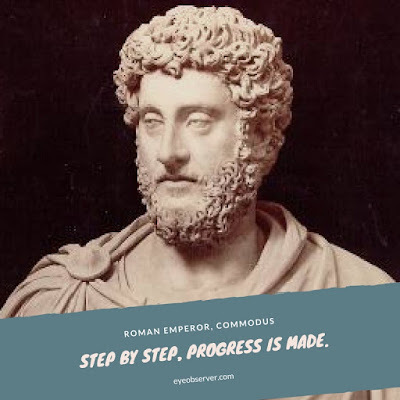 Instead, it was steady progress, made over many centuries that made Rome the greatest civilization the world had known to that point. This reinforces our point that we shouldn't get discouraged if the results aren't as spectacular as we'd like them to be. What's important is that progress is being made. 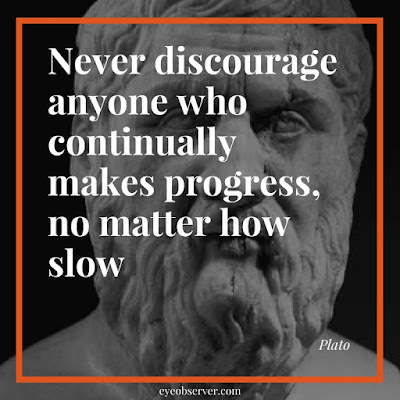 Plato, the famous Greek philosopher who was one of the fathers of Western philosophy said that it's important not to discourage people as long as they're making progress, no matter how slow. Perhaps he was inspired by the story of "The tortoise and the hare"? 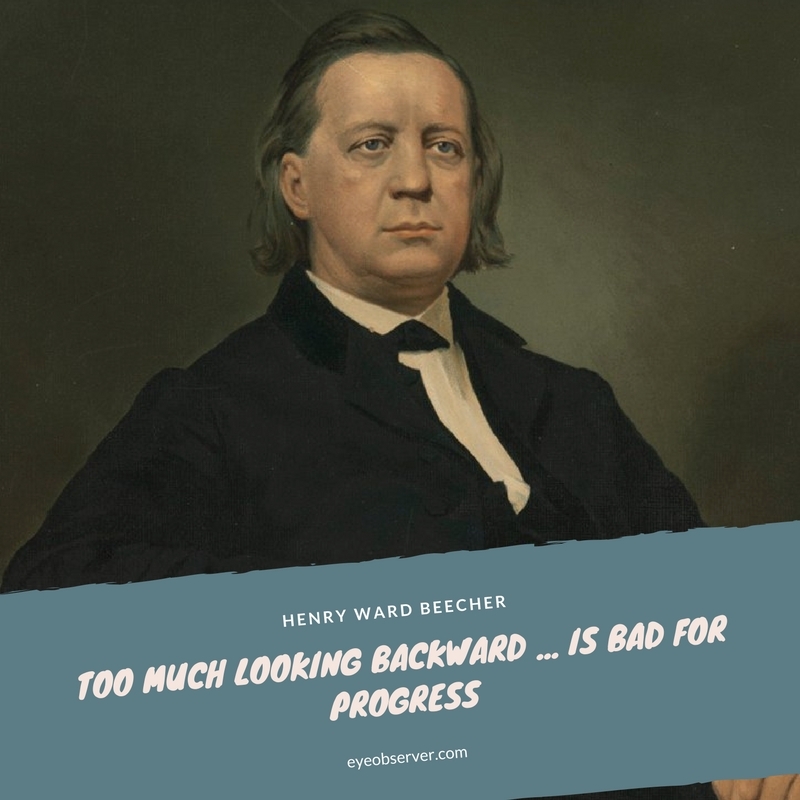 The 19th century American reformer and clergyman, Henry Ward Beecher, had an important point about making progress and that is not looking back at what was, but rather what could be. While there are valid benefits to some introspection, too much of it results in paralysis and inaction. Forget yesterday, that is the past. Focus on today, so that tomorrow will be better! 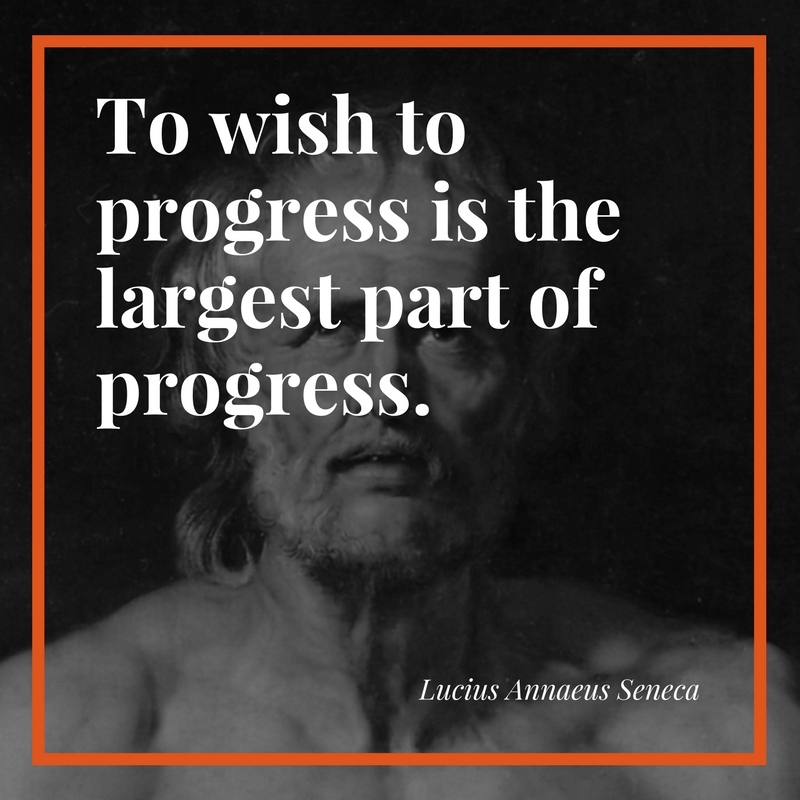 We hope you've enjoyed some of our favorite quotes on the subject of Progress. Feel free to use them, share them, do whatever with them and hope you'll follow us we blog more regularly.